Muscheln sind wahre Klebekuenstler. Ob am Holz eines Stegs, am Metall eines Schiffrumpfes, an Steinen oder an einem Artgenossen, sie haften ueberall. Forschern um Philip B. Messersmith von der Northwestern University ist es nun gelungen, einen der 'Universal-Klebstoffe' von Muscheln nachzuahmen. 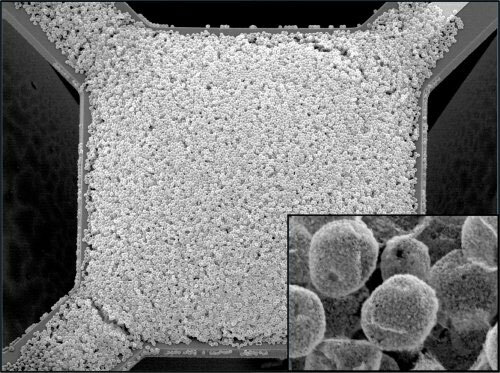 The new material, dubbed a 'nanoscoop' because its shape resembles a cone with a scoop of ice cream on top, can withstand extremely high rates of charge and discharge that would cause conventional electrodes used in today's Li-ion batteries to rapidly deteriorate and fail. 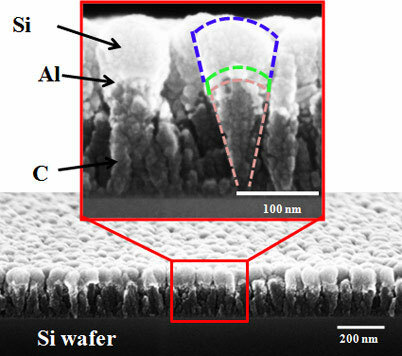 The nanoscoop's success lies in its unique material composition, structure, and size. TU Delft professor of process intensification, Andrzej Stankiewicz, has received an ERC Advanced Investigators Grant of 2.3 million euros from the European Research Council. Professor Stankiewicz will use the money to carry out research on improving chemical reactions at the molecular level in the next five years. 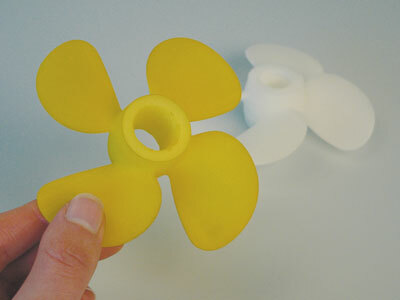 Proceedings of the IEEE cites potential for spin-based technology to replace static RAM. EU-funded scientists in the Netherlands have managed to rapidly control the building blocks of a quantum computer by using an electric field rather than a magnetic one. 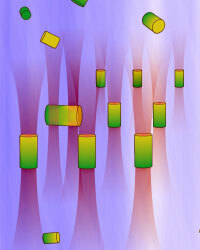 In addition, the team succeeded in embedding these building blocks, known as quantum bits or qubits, in a semiconductor nanowire. A five-year, $16-million grant from the National Cancer Institute will take advantage of specialized expertise developed by scientists at Albert Einstein College of Medicine of Yeshiva University and Montefiore, the University Hospital and Academic Medical Center for Einstein. Researchers at the Fraunhofer Institute for Environmental, Safety and Energy Technology UMSICHT in Oberhausen are pursuing a new idea by testing how carbon dioxide can be used to impregnate plastics. A few months ago Muenster scientists showed that certain molecules - so-called nano-containers - can be guided by light alone. This study has now been singled out for special praise. At January's TEDxCaltech conference, researchers will present a one-molecule robot capable of following a trail of chemical breadcrumbs. A centre for the development of start-ups in the nanotechnology field will be created in the Sverdlovsk region in 2011, Governor Alexander Misharin told reporters on Tuesday. Distinguished Prof. Kwang-Lung Lin of the Department of Materials Science and Engineering at National Cheng Kung University (NCKU), Tainan, Taiwan, the Deputy Executive Director of Industrial Technology Research Institute (ITRI) South, has received the honorary title of 2011 Institute of Electrical and Electronics Engineers (IEEE) Fellow with his outstanding achievement on the research of lead-free solder alloy and its material response, and also won the title of 2010 Materials Research Society Taiwan (MRS-T) Fellow. NT-MDT Co. is pleased to announce that the first stage of ProIMAGE Contest 2010 has come to an end. Researchers have overcome a fundamental obstacle in developing breath-analysis technology to rapidly diagnose patients by detecting chemical compounds called 'biomarkers' in a person's respiration in real time. Five new US, European and Japanese companies join A*STAR's Industrial Consortium On Nanoimprint to engineer marine life-inspired anti-microbial surfaces for use on ships, lenses and medical devices. 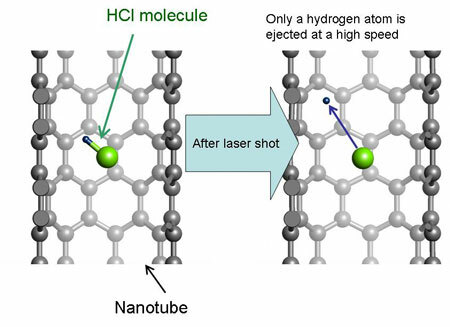 NEC Corporation announced that it succeeded in the world's first simulation-based prediction of laser-induced photochemical reactions that can efficiently eject a hydrogen atom from a hydrogen chloride molecule trapped inside a carbon nanotube. The Supervisory Council of the Fund for Infrastructure and Educational Programs, a non-commercial organization formed by RUSNANO, held its first meeting. The fund will foster innovative infrastructure for nanotechnology and bring to fruition programs in education and infrastructure that RUSNANO has initiated.